If you're thinking of moving to Arizona and might get a minimum-wage job, knowing what you can expect from local employers can help you budget for the first year in your new home. 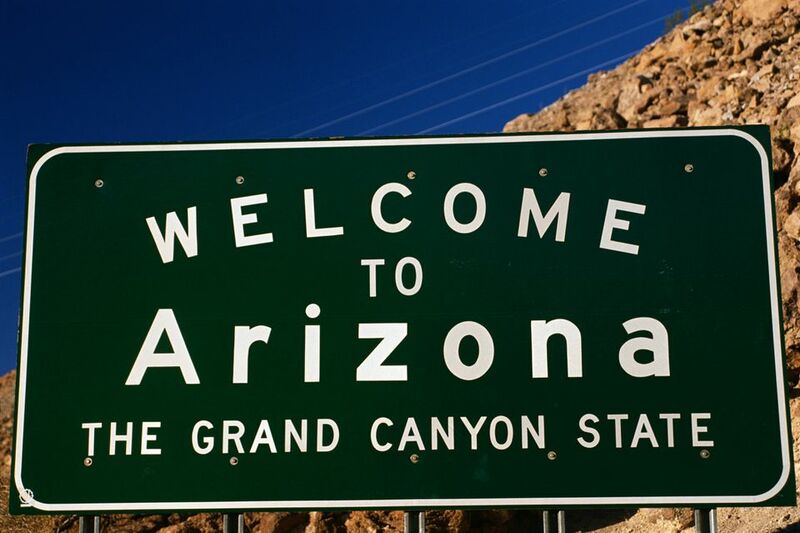 While there is a federal minimum wage ($7.25 in 2018), some states including Arizona have passed laws that mandate a higher rate, which employers are required to pay despite the lower federal regulation. In November 2006, Arizona voters approved a measure to increase the state's minimum wage in steps, year by year. At that time the minimum wage went from $5.15 per hour to $6.75 per hour. That initiative also called for a cost-of-living increase—called indexing—in subsequent years, which would be applied on January 1 of each year. As of January 1, 2018, the minimum wage in Arizona increased to $10.50 per hour. All full-time, part-time, and temporary employees are covered by the minimum wage law, but independent contractors, sometimes called freelancers, are not covered. In addition, some occupations and employees including tipped workers, students in high school and college, and certain disabled workers are excluded from these regulations. Additionally, the measure called for Arizona's minimum wage to be adjusted each year based on cost of living in the state, beginning in January 2021. As with the Fair Wages and Healthy Families Act, a panel of elected representatives will vote on incremental annual increases based on current federal and state inflation rates, economic stability, and the cost of goods and services in Arizona. While waiters and service industry workers are typically exempted from the minimum wage rule for Arizona, there are still state and federal laws in place that ensure this type of worker is entitled to fair wages. Fortunately for industry folks moving to Arizona, the state has a higher minimum hourly wage ($7.50 as of 2018) than federally required ($2.13) for tipped employees. Furthermore, employers can pay an employee that receives tips an hourly rate that is $3 less per hour than Arizona's minimum wage as long as the tips that are earned and distributed to the employee would bring that rate at least up to the minimum wage. For example, if a server in a restaurant has an hourly wage of $7 per hour, the tips earned by the employee must bring the earnings up to at least the required Arizona minimum wage for that year. If the tips aren't enough to bring the cumulative earnings up to the minimum wage, the employer must make up the difference to the employee. All employers in the state of Arizona except the state itself, the U.S. government, and small businesses—defined as "any corporation, proprietorship, partnership, joint venture, limited liability company, trust, or association that has less than $500,000 in gross annual revenue"—must pay employees at least the state's mandated minimum wage. If the employer is not exempt from the minimum wage law, all employees must be paid at least the legal minimum wage in effect for that year or the legal minimum wage as it relates to tipped employees. No employee can agree to work for less than minimum wage, whether verbally, in a written agreement, or by contract. The Fair Wages and Healthy Families Act, which governs the minimum wage in Arizona, does not apply to those employed by the State of Arizona or the United States government— which both have their own minimum wage requirements—or to a person employed by a parent or sibling. In addition, the city of Flagstaff adopted Proposition 414 on November 8, 2016, which dictated a citywide minimum wage increase to $15.50 by 2022. As a result, the minimum wage in Flagstaff rose to $11 in 2018. The legislation called for the minimum wage to increase to $12 in 2019, to $13 in 2020, and to $15 and $15.50—or $2 more than the scheduled state minimum wage—in 2021 and 2022.